Today (28th Jan'2018), I have successfully passed Salesforce Certified Identity and Access Management Designer (WI18) with an overall score 79% and finally acquired certified System Architect credential. I have faced total 65 questions. 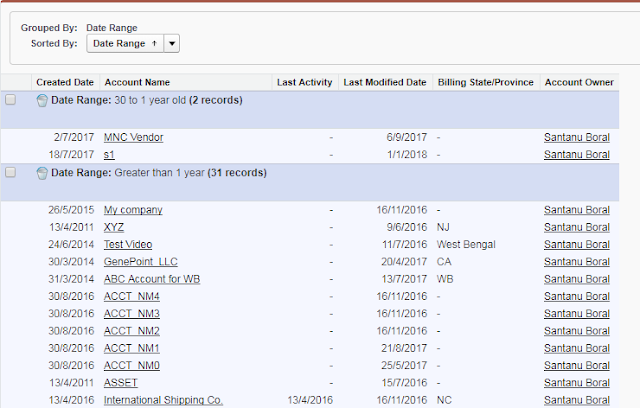 Salesforce has added 5 unscored questions. It has taken around 90 hours of preparation exactly one month time frame. As usual before I started my preparation, I have prepared a document and noted down all the points and advice mentioned by these guys. Thanks to all of them. Since this exam is well known as hard exam and didn't have much experience on Identity implementation, so I have changed my mode of preparation. First one and half week, I have gone through all Salesforce Identity and Access related videos in youtube and taken all the notes on paper. Here are the most valuable videos and surprisingly 50% of the questions I have received from this video content. 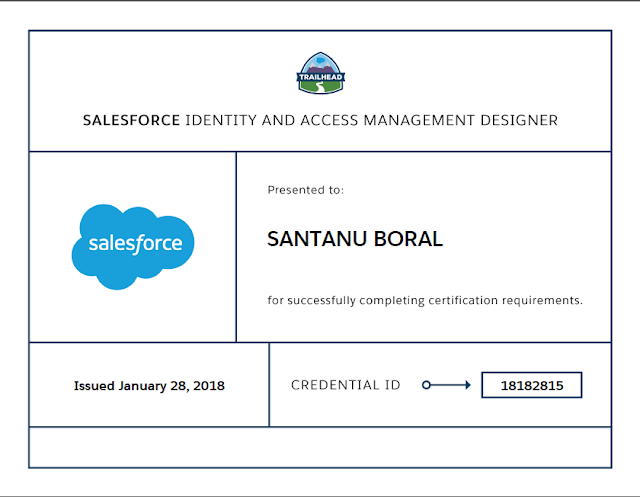 Long back I have completed this trail Secure Identity and Access Management. So, again prepared my two Developer Editions and completed all different types on hands exercises on either referencing the video or trailheads. 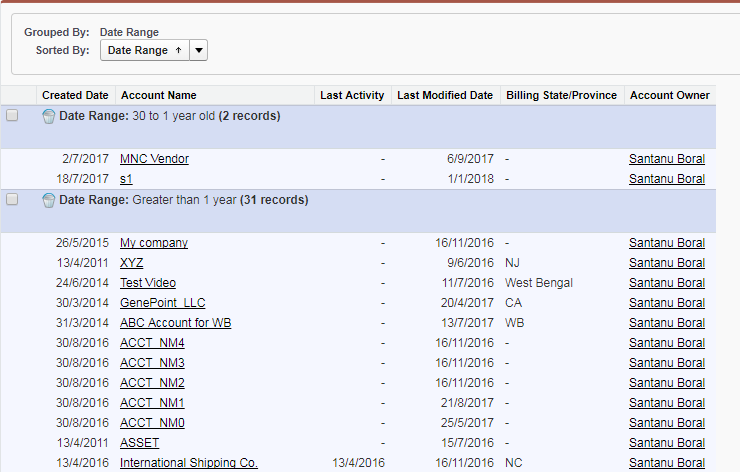 Jitendra's blog post Implement SAML based Single Sign On (SSO) | Using Salesforce as Identity Provider (Idp) as well as Service Provider (SP) helped me well in this preparation. Then, started going through all the links which have mentioned in study guide. Different type of certificates and where to find those and how to use those. Two Factor authentication: How that can be implemented, Whats the decision to be taken before implementing this. Identity Connect, when and how to use it and whats the benefits. 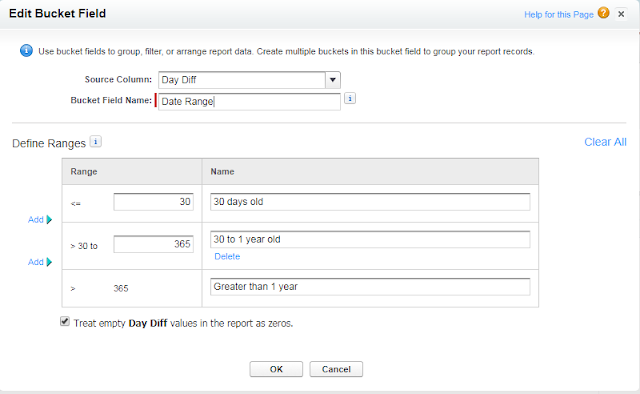 Providing access to Customers, Partner and internal employees (7-8 questions). Delegated and Federated Authentications: Advantages & what are the considerations to be taken. Lot of questions on providing access to the Salesforce Ideas to the non-salesforce users. Along with my points if anyone follows those above links then anybody can pass this exam.